Did you know that last week (March 14th) was Pi Day? What makes this day even more notable is that it's also Albert Einstein's birthday. 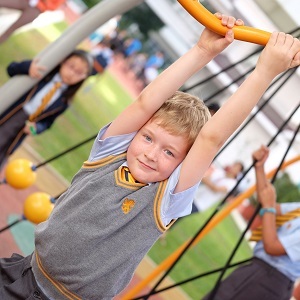 Many of our Nord Anglia schools around the world were celebrating the mathematical symbol of pi (π), which is defined as the ratio of a circle's circumference to its diameter. Pi is approximately 3.14159, explaining why we celebrate on March 14 (3/14). Miss Mcrann and Miss Wright (our Maths fanatics) planned a fantastic hands on day that the children thoroughly enjoyed. 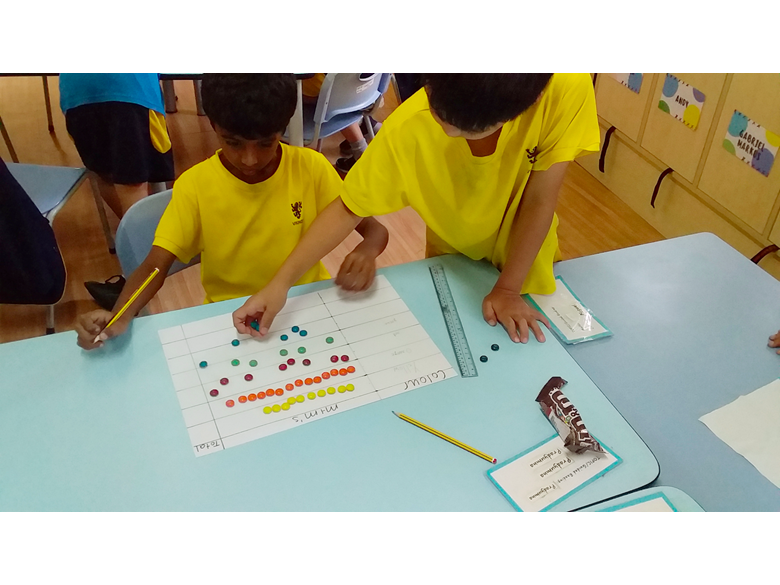 To continue to build on this excitement at home, Miss Mcrann has detailed the importance of ‘hands-on’ maths. Parents often ask how they can support their child at home in Maths. It is important to remember that engaging your child in Maths can take on many different forms. 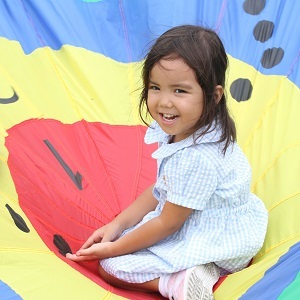 It may not always involve sitting down to complete traditional or formal written Maths. One of the best, and cheapest ways, you can help support your child at home is to engage them in Mathematical talk. Mathematical talk is a great way for you to encourage your child to practise their mental Maths skills, develop a better sense of number, as well as for them to think more often and deeply about Maths. Engaging in Mathematical dialogue will also help your child appreciate the importance and many applications of the subject. Here are 10 activities to try at home to encourage mathematical talk. Use arrays around the house, such as muffin baking trays or cupcake cases, to count in multiples, multiply and divide. Practise number bonds or times tables while completing other activities e.g. skipping or throwing a ball. This will help with rote memorisation. Play card games such as ‘Tens, Go Fish!’ or ‘Old Maid’. When buying a couple of items at the shops, ask your child to work out how much they will cost together. They can also calculate the change. As a challenge for older children, ask them to estimate what the weekly shop will come to. If your child has a mobile phone, use it to talk about maths and money saving. Look together for the best plans. Hang a calendar in your kitchen. 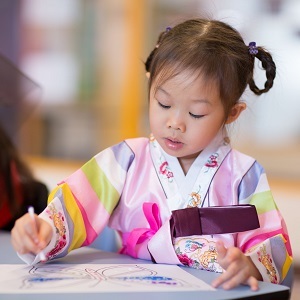 Get your child to mark on important dates such as family birthdays. Count the days till your next holiday. Look at cinema timetables with your child. Get them to calculate finishing times. This can also be done with journeys using plane, train or boat timetables. Get children involved with cooking. Not only can they calculate starting and finishing times, this is a great opportunity to practise estimating and measuring weight and volume. 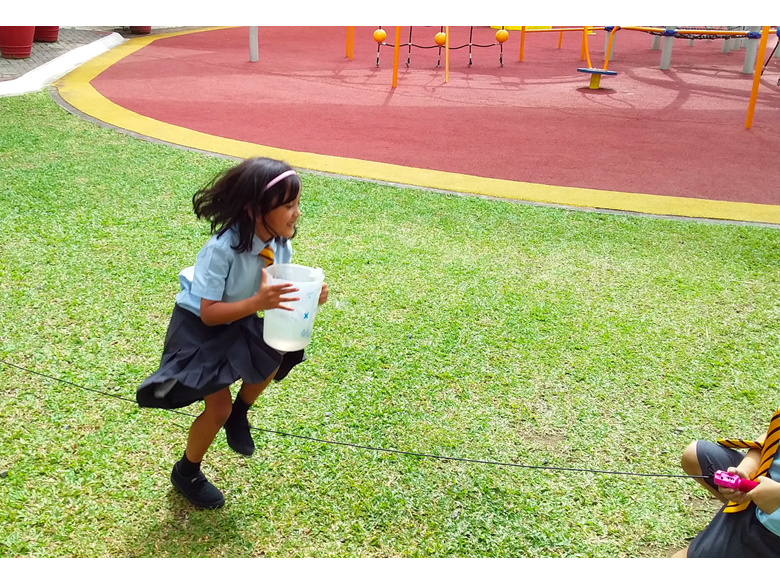 On a hot day, play a skipping game with cups or jugs of water. Turn it into a competition and measure who can keep the most water in the jug. Also, praise children for their effort, not the answer they give. For example, “I really like how you persisted with that problem and tried different methods to solve it.” This will help them develop resilience and encourage a growth mindset. 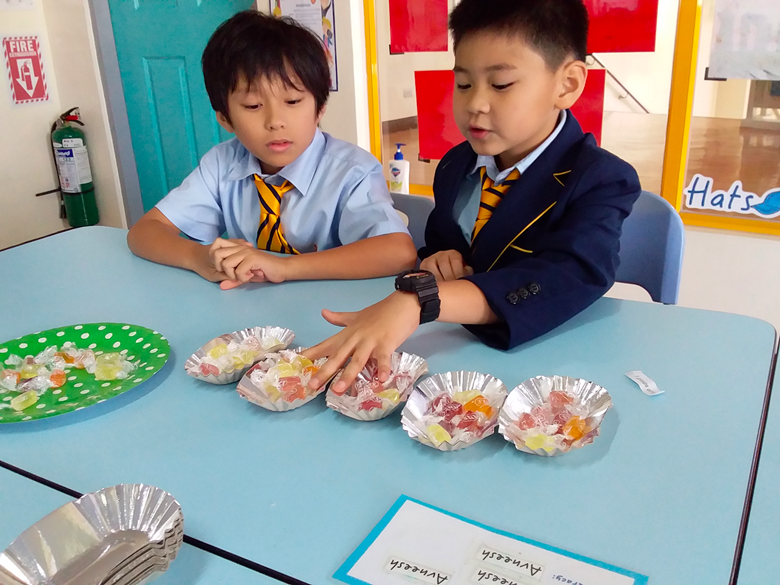 It is clear to see at NAIS Manila that maths forms an important part of our curriculum, our job as educators (and parents) is to ensure that children see the relevance of this and are able to use this in real life contexts. Moving Up - making smooth transitions. 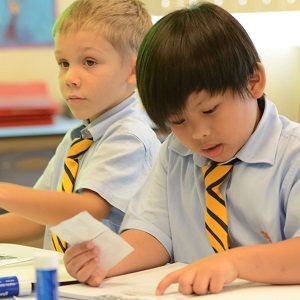 How NAIS Manila prepares students for smooth transitions between grade levels. Often at this time of year, one hot topic of discussion is that of children starting school mid-year.